In this tutorial we will explain you how to create a folder to save the content you create with the software Content Creator. First you have to access to the product. Click on "access to product" to open Content Creator. At the left you are able to click on "+ new" to create a new folder. 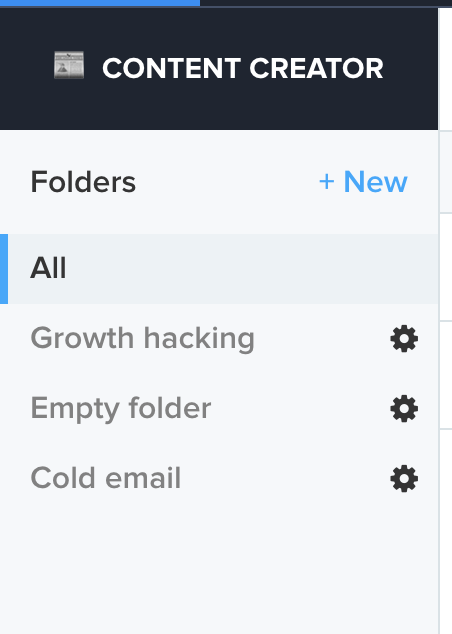 Pick a name to create your folder and click on "create folder". Once your folder is created you are able to use it to save content inside. You can also edit the folder name by clicking on "edit" at the left.